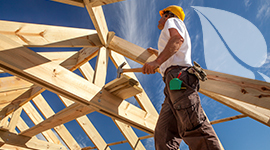 Quercus is a supplier of high-quality timber products to joinery and furniture manufacturers within the construction industry. 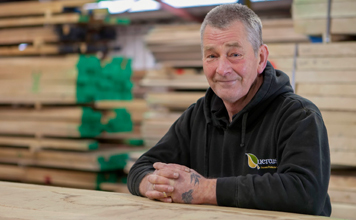 Our business is very simple, and has just two core components: family values, and a passion for timber. We stock and select a wide range of high quality hardwoods and softwoods in various grades and sizes. 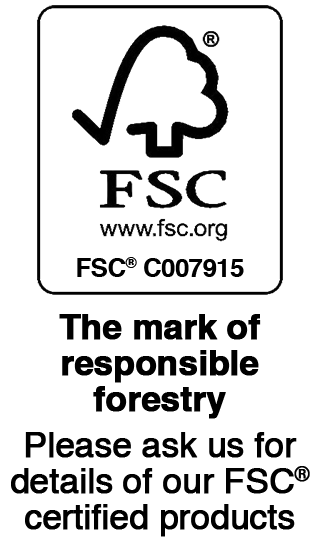 Just click on the corresponding image below to learn what grades and sizes we have available. Or, if you require any further information, please don’t hesitate to contact a member of our team through our enquiry form. All of our products are stored in our warehouse in Brackley to help ensure we maintain our customers' service expectations. Hardwoods are a highly versatile family of timber. 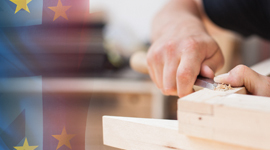 They are found in everything from high quality Windows and doors, bespoke staircases, flooring, and boat building to fine kitchens and individually commissioned furniture pieces. 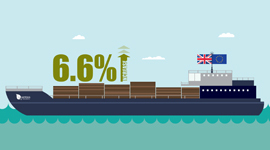 Softwoods are the source of 80% of the world’s timber. Generally less expensive, less dense and lighter grained than hardwoods they are found in a multitude of applications. We love nothing more than to hear that our customers are busy. Fortunately, the vast majority keep telling us they are, and they also tell us that skilled people are difficult to find. 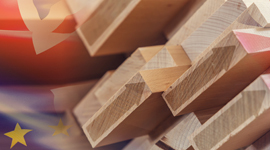 Peace of mind is incredibly important when it comes to producing any type of timber product, and that is why we stock a selection of engineered products alongside our hardwood and softwood timbers. We stock a variety of panel products suitable for a wide range of applications and offering an extremely cost-effective solution. 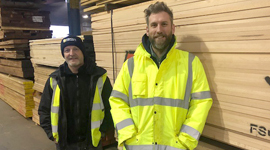 Whilst the vast majority of our stock holding is commercial grade kiln dried hardwoods, we do also supply large regular volumes of hardwood for construction projects. When it comes to flooring products, the choice can be daunting simply because the variety of products can be excessive. We try to keep things simple: we offer Engineered Hardwood Flooring and we offer Solid European Oak Flooring. 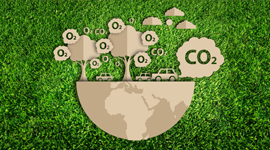 Accoya’s innovative non-toxic acetylation process goes directly to the core of timber and removes moisture, providing a wide range of benefits for numerous applications. 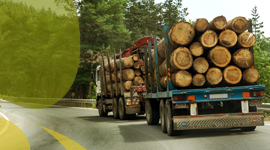 Keep up to date with what’s happening in the timber industry, and our opinion on it. Our news feed collects the most important and interesting trade news from the world of timber, helping to keep you informed. You’ll also find insights from industry specialists, company news, and commentary on regulatory changes as-and-when they occur. You no longer have to trust the experts: you can become one. 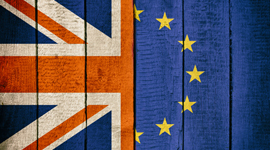 “Hardwood is continuing to show solid gains and stability in the run up to Brexit”…. 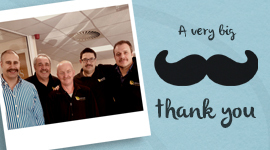 A big thank you for your Movember support! “Worldwide, men die six years younger than women. It doesn’t have to be this way…. 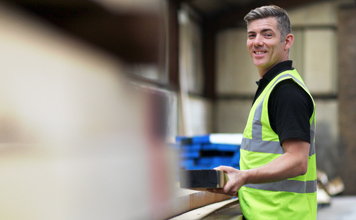 At Quercus, we’re committed to purchasing and supplying the best timber possible. 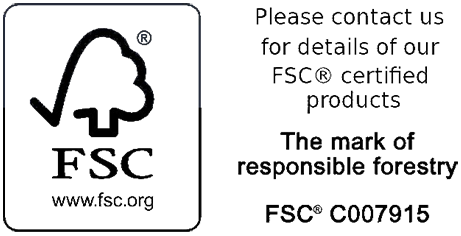 But that doesn’t just mean the best for us, or even just the best for our customers – it means the best for the environment too. 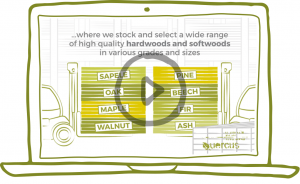 The Quercus family is united by its passion for one of the world’s most versatile natural resources: timber. Learn more about us below or click here to see the full team. 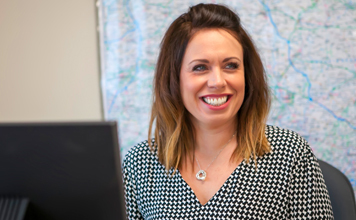 Faye is one of the founding members of Quercus, and holds responsibility for all its financial concerns. She is also a driving force behind Quercus’ continued expansion. When not crunching the numbers, Faye spends the vast majority of her time bringing up two wonderful children. She also finds a little free time to enjoy riding her horse, Winter. 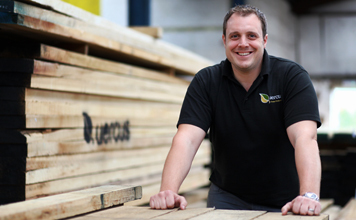 Wayne is Quercus’ sales and marketing director, co-founder and a timber trade expert. He has worked for several major hardwood importers, giving him an excellent understanding of the industry. Aside from Timber, Wayne’s first loves are his wife, Faye, and his two children. He is also a sports enthusiast, and although he was a keen golfer and reasonable rugby player, he now follows most sports from the sofa. Jonathan is Quercus’ commercial director, and manages our client accounts. Previously, he was national accounts manager at General Mills. He is highly customer-focused, and prides himself on going the extra mile. In his spare time, Jonathan can be found on the rugby pitch or relaxing in front of his favourite TV show, Thinking Tackle. He assures us it is about fishing. Rylan has had a lengthy career as an Operations Director spanning a number of years and indeed industries. He is hands on and leads from the front. 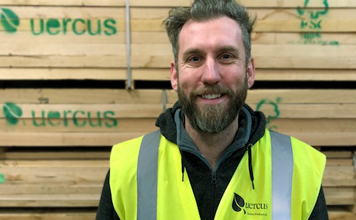 Rylan, also a co founder of Quercus, is responsible for the day-to-day running of the business and also sources all our timber. 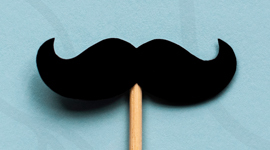 Rylan is a keen shot, a rugby enthusiast, and a practised wearer of monocles. 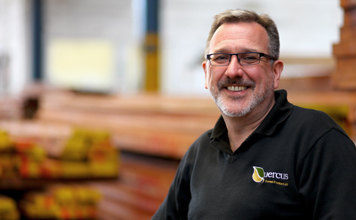 Andy is an integral member of the Quercus team with a great understanding and knowledge of the industry as a whole. His long service makes him a stalwart in the sales team, dealing with day-to-day customer enquiries. Andy is also a quiz master, whether it be pop master on radio 2 or his local pub quiz his memory is incredible. We will get him on pop master one day! Andrew – or “George” as he is known, thanks to his last name – joined us from a successful career in the corrugated packaging industry. When he’s not dealing with customer enquiries, Andrew is a keen angler and sports fan with two young children. 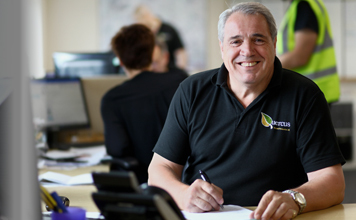 Stuart has been a loyal and long serving member of the Quercus team. 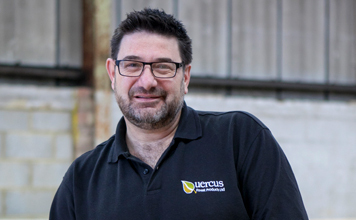 He has the important role of managing the operational side of the business and oversees our quality standards within Quercus. He is a great father to 2 girls, and is a passionate Liverpool FC fan. 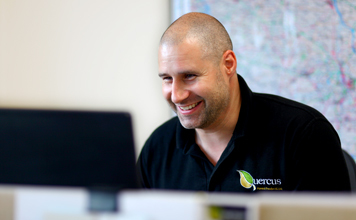 Dan has been part of the Quercus team for several years. 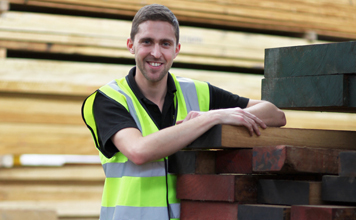 He ensures all timber is carefully selected for each individual customer’s needs. Dan has a great eye for detail and his high standards are a credit to us all. Dan enjoys football (despite being a Spurs fan) and is a big Game of Thrones fan, as are most of the team. 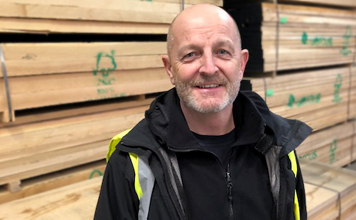 Kevin (The Mole) Pratley possesses a wealth of knowledge and experience in the timber trade, and previously worked in our timber selection. Now, he's taking that knowledge out on the roads, and joining Nikki and Dave as a delivery driver. Kevin is a keen angler and enjoys watching banger racing. Martin, our driver, is a reliable and fun-loving member of the team. Besides being a massive Wolverhampton Wanderers fan, and ‘social golfer’, he loves spending time with his two grandchildren at weekends! 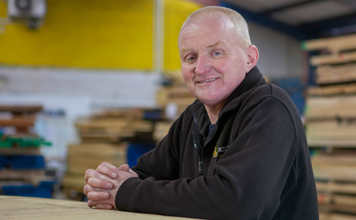 John (or Dave, as he is known) is new to the timber trade, but he’s not new to driving. 35 years on the police force means his skills on the road are second to none. Dave is responsible for delivering goods to our customers. In his time off, he also likes… driving. Except when he’s not on the clock, it tends to be motorcycles, alongside his wife of 35 years. Nikki is a new-comer to the timber industry, who’s eager to learn the ins-and-outs of the trade. His responsibilities include selecting orders, as well as delivering goods. When he’s not at work, Nikki is a keen telly enthusiast, who enjoys nothing more than staking out his spot on the couch and watching a movie with his wife and two-year old son. 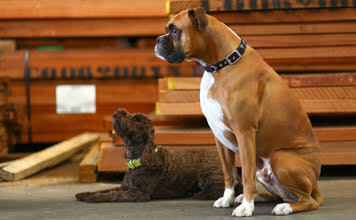 Dylan and Coco are part of our family and the Quercus team and are adored by all our staff, customers, and visitors. They both love the attention they receive on a daily basis. Dylan is a 7-year old Boxer - he's the mature one, often found relaxing by Rylan's feet! While Coco, the 4-year old cockapoo, is doing his best to get him to play!